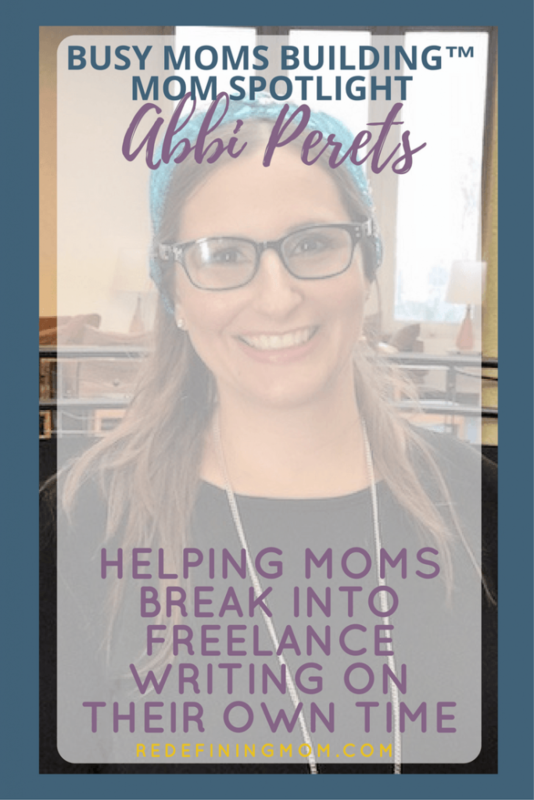 Abbi Perets is one of our Busy Moms Building that helps moms that are at home with kids break into freelance writing and build a successful freelance writing business for the long term. She is passionate about empowering women to make the money they deserve on their own terms. Join me as we chat about her unforgettable experiences! You’ll definitely learn and grow. Hi! 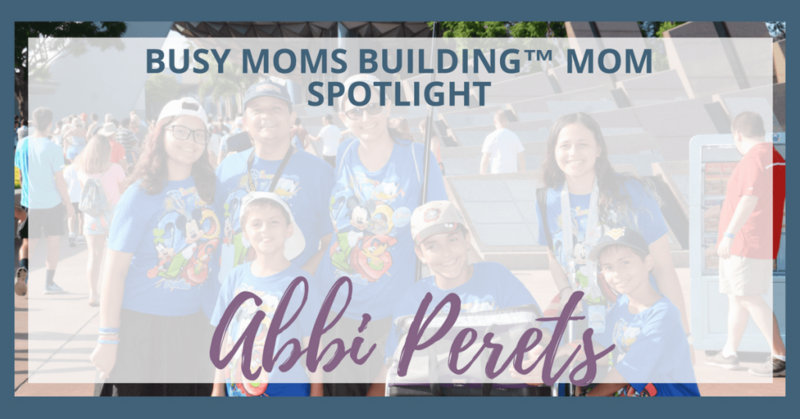 I’m Abbi Perets. I’ve been married to my husband for 21 years, and we have five beautiful children: two girls (ages 18 and 16) and three boys (ages 13, 11, and 8). 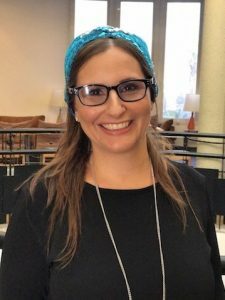 My husband is Israeli, and we have gone back and forth between the US and Israel for the past 20 years. We are currently living in Israel. A million years ago, before my kids were born, I worked in Tel Aviv as a marketing writer in a small boutique agency. 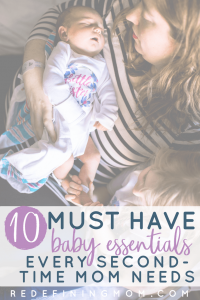 When my first baby was born, I decided to go freelance because the thought of putting my precious baby in daycare was horrifying to me. 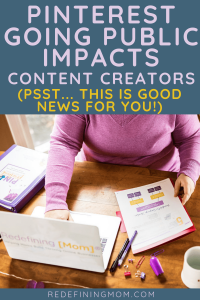 I started out as a freelance writer, pitching articles to little parenting websites and making about $25 for each one. When my baby was about a year old, we moved to Los Angeles. I got out the yellow pages and called every single graphic design firm and marketing agency that was listed and asked if they outsourced any of their writing. I literally made about 500 calls in 30 days. At the end of that time, I had a couple of clients, and I was in business. Over the years, I fell into a couple of primary fields: online training and education for large companies like eBay, Nike, Pfizer, etc. and writing about technology. In the summer of 2010, we moved back to Israel, and I had to figure out how to make my business work all over again. It took me a few months, but I found my rhythm and kept on working. 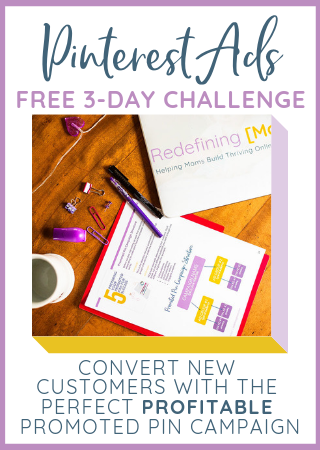 Who are you looking to help serve and why in your business? In September 2013, my middle son, who is developmentally disabled, was suddenly diagnosed with leukemia. Within 24 hours, it was clear to me that I would not be able to continue working and providing my clients with the service they deserved. I notified everyone, handed off projects to colleagues, and spent the next two years sitting in the hospital next to my son. My son had horrific complications during his treatment. He had an allergic reaction to one form of chemotherapy. His body went into toxic shock from a different chemo. His intestine burst inside his body and he needed emergency surgery. For nine months, he had an ileostomy, and his intestines emptied into a bag outside his body. It was horrible and traumatic, and on more than one occasion we truly believed we would lose our son. And then, one day in 2015, my son finished treatment. A few weeks later, he was strong enough to return to school. Theoretically, I could have gone back to working, but I was still an absolute mess. Every morning, I’d get the kids off to school, and then collapse on the floor of my kitchen, sobbing. I couldn’t get it together. To the outside world, I probably looked okay most of the time. But inside? I was barely functional. To the outside world, I probably looked okay most of the time. But inside? I was barely functional. It took me a long time to get to a point where I could consider taking on client work. In fact, it wasn’t until September of 2016 that I started actually looking for work. But once I decided I wanted it, I threw myself back into it, and by October, I had contracts for several thousand dollars worth of work. They say that when you’re feeling down, you should focus on helping other people, and that’s something I believe. So around January, I started thinking, What do I know how to do? What can I help other people learn? And I realized, I know exactly how to build a freelance writing business from scratch, even when you’re at home with kids. They say that when you’re feeling down, you should focus on helping other people, and that’s something I believe. In that moment, Successful Freelance Mom was born. 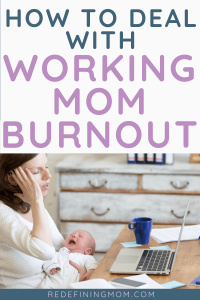 My focus is on moms who are at home with kids that want to break into freelance writing, even if they have no experience. 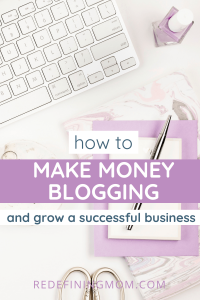 I got my site up and running, I got 150 people on a list, and I held a webinar on how to use Upwork to get high-paying freelance writing clients. Some people think Upwork is only for beginners and only has low paying jobs, but that’s totally not true. I regularly book work at my full hourly rate of $137/hour on Upwork. So I had this webinar, and I wound up enrolling 25 people into a paid course called Writing for Money. 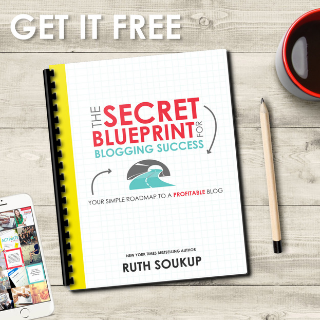 There I teach moms how to land a paying freelance writing client in 6 weeks. Teaching this course has been amazing for me. The results my students get is the most rewarding feeling in the world! I get up at around 6 most days. My kids start leaving at around 7 am and everyone is typically out the door by 7:30. Two or three days a week, I fit in a morning workout right after everyone leaves. Then I’m always ready to start working by 8. When my course is running, that’s my full focus. I spend my day working on material for my live sessions, answering student questions, on coaching calls with students, and so on. When I’m between sessions, my time is spent on client work and creating content for my own site. Currently, I’m working on a free video series that I’m going to launch on YouTube for beginning freelance writers. My client work these days is mostly focused on women entrepreneurs who want to launch a course. But they don’t know how to get the content from their heads to the screen. I have a rapid course development process where over three weeks, I get all that information from your head into a fully written course. I only work with one client at a time, and only during seasons when I’m not teaching. So when I have a client project, that’s a big part of my focus every day. Keep my technical writing skills sharp and do some freelance work writing technical blog posts is important to me. I try to fit in about 5 hours a week for a client of mine, which is a nice little income boost that also helps keep me on top of new technologies. Having a treadmill desk, so I can walk while I work for part of the day, is awesome. I typically walk when I’m doing administrative stuff in the early afternoon, which is the time of day I’m most likely to start falling asleep otherwise. Most of the time, I wrap up my workday by around 4pm. My husband travels a lot for work. So if he’s away, I don’t mind putting in an extra hour or two in the evening. Usually that’s social media work, Facebook groups, creating images for pins, and so on. Like so many women, I run up against imposter syndrome a lot. I submit work to a client and then I think, “Well, the jig is up. Now everyone will know I’m a talentless hack.” That’s not what happens, of course, but it’s this very real fear that’s so often present. Like so many women, I run up against imposter syndrome a lot. I find that surrounding myself with smart, successful women is the best way to get past this. We are stronger together, and the focus on community over competition is something very special. In my personal life? I’ve kept all five of my kids alive, which was pretty challenging! In business, I am AWESOME at interviewing subject matter experts. Then getting information out of their heads and into the world. Do a time audit. A time audit is when you track your time for a full week, a full 168 hours, and you see exactly where your time is going. This lets you make MUCH smarter decisions about how to spend your time. I have plenty of information on how to do a complete time audit on my site. I love learning, so I’m usually taking a course of some sort, and I focus on working a lesson to completely done. Spending an hour focused on something like that is a LOT of fun and a great way to start my day. I’m also addicted to books about habits, change, brain development, and productivity. So anything that’s been published recently on those topics is on my list. Tell us where we can find you and support you in your business journey. 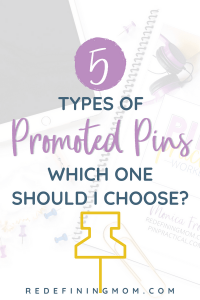 I’m active on Twitter and Pinterest, I’m getting more active on Instagram, and I’m putting out a TON of awesome video content on YouTube. If you’re looking to launch a course and want to hear more about my rapid course development process, you can schedule a call with me.